Wolfgang Paintwork Polish Enhancer is your last chance to create a memorable gloss before wax application. Wolfgang’s prewax cleanser removes old waxes and sealants, light oxidation, and paint contamination to reveal deep color and gloss. Once you apply a wax or paint sealant, it will enhance the smooth, clean paint created by Wolfgang Paintwork Polish Enhancer. If you want the ultimate gloss, it starts with Wolfgang Paintwork Polish Enhancer! This 2006 Honda Civic in Royal Blue Pearl was washed with Wolfgang Auto Bathe, polished with Wolfgang Paintwork Polish Enhancer, and then topped with Wolfgang Deep Gloss Paint Sealant. Photo by Jeff W. from Ohio. Wolfgang Hat - FREE With Wolfgang Orders over $75!Wolfgang Car Care KitsWolfgang Füzion Carnauba Polymer Estate Wax 3 oz. Mini Wolfgang Füzion Estate Wax Mini Connoisseur’s Kit Wolfgang Füzion Carnauba Polymer Estate WaxWolfgang Füzion Estate Wax Connoisseur’s KitWolfgang™ Plastic Headlight Lens Cleaning SystemWolfgang Deluxe Plastic Headlight Lens Cleaning KitWolfgang Deep Gloss Paint SealantWolfgang Perfekt Finish Paint PrepWolfgang Uber Ceramic CoatingWolfgang Fuzion Spray WaxWolfgang Fuzion Connoisseur’s Choice Wax KitWolfgang Deep Gloss Liquid Seal 8 oz.Wolfgang Auto BatheWolfgang Uber Wash & WaxWolfgang Uber All In OneWolfgang Uber Compound 3.0 8 oz.Wolfgang Total Swirl Remover 3.0 8 oz.Wolfgang Finishing Glaze 3.0 8 oz. This is a great product. I used this product on my black 2015 f-150 several months after I purchased it. As you would expect the paint was in excellent condition. I then waxed with Pinnacle wax, looked great. I then got busy moving to Florida and getting settled and hadn't done anything but wash truck for next 2 years. I used this product again and it cleaned and prepped the paint much better than I would have ever expected, (nearly perfect really). I then waxed again with high quality Pinnacle wax and truck looks like new, paint couldn't feel any smoother. I thought I might have to clay first but there was no need, great product. Read the application review by AG that indicated you could do several small sections collectively before buffing. Don't do it. Do a small section and wipe it. I let it sit on my mustang hood until finished with the total surface. Kept waiting for a finger swipe type haze to form. Went on and did the roof. Came back to the hood and still a smeary finger swipe on the hood. Figured ready or not here goes but by this time it was a son of a gun to get off. Wound up having to redo the hood in small sections and taking it right off to get the residue off. Worked much better and did the rest of the car like this. My paint did not have swirl marks, only minor visible hair lines here and there. This did not really do anything to remove them. The shine was good though. Could have been operator error on my part but others seem to agree it can be stubborn to remove. ProsUsed it because paint did not need swirl remover. ConsHard to remove unless done after application to each small section. Not a wow moment judging the before and after as far as light imperfection removal. My wife's could not believe! It Works Amazing on her car paint. I used the WolfGang Paintwork Polish Enhancer. It worked Beautiful on my Wifes car (2010 Chevy Impala). My wife is so happy and does not seen to mine how much we spend on the products. She was very impressed in results how beautiful her car looked. They say: "The prove is in the Putting" We use the best product from Autogeek. Now I can get on my stuff. ProsWolfGang Paintwork Polish Enhancer. is few dollars cheaper then the Pinnacle Cleaning Lotion. 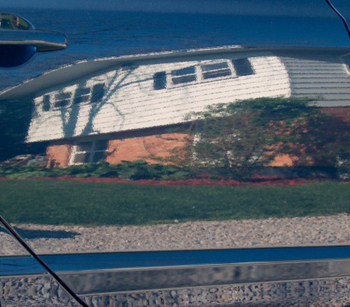 It brought to live my wife paint on her 2010 Chevy Impala with an absolutely stunning shine. I will use on my giant Truck and my son-in-law wants his done. Consstill see swirl and scratches, but very few. I used this before the Wolfgang sealant and it did wonders cleaning up the paint.